From September 24th to 26th, the 71st ESOMAR Congress took place in Berlin. 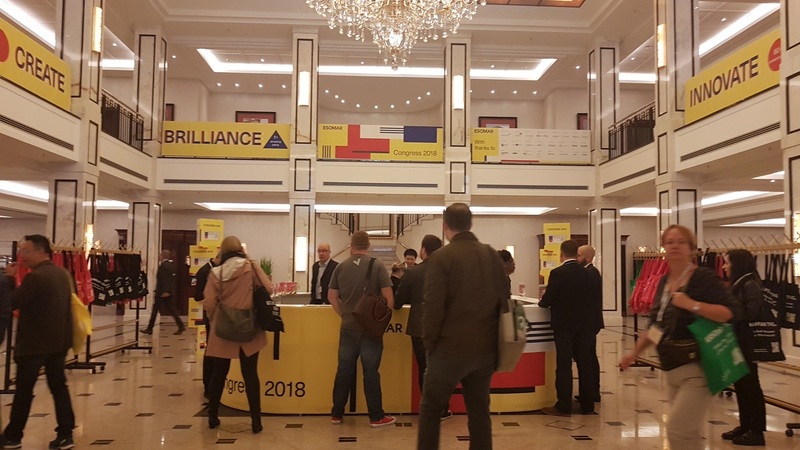 For three days, the global community came together to discuss and celebrate under the headline “Brilliance”, the same in the market research industry. It was striking that not a single talk at this congress or even a session whined once – not even at a high level. A truly brilliant program committee has chosen three narrative strands (Transformation, Technovate, and Think Tank) and a few side locations (for workshops, etc.). A signal that the market research business is incredibly lively. The offspring is very important for Esomar, this has been noticeable throughout the three days, for example, there were special junior awards. A very nice sign with an effect on the average age of visitors, which has dropped significantly over the years. The party took place this year in the Berlin Stone Brew brewery – an incredibly great atmosphere, with well, mainly India Pale Ale. All this can be summed up in the words of Wim Hamekers: “eat the elephant slice by slice”. Yes, it is a lot. Yes, there is a lot going on: AI, Robots, Voice Control, Neuroscience, Emotion Tracking, Privacy, Polling, and so on. But it’s an incredibly exciting time in and for our industry and even though it may seem like a lot, slice by slice we are already plastering the elephant.